Darmac Ag stock top quality brands for the Home, Farm or Industrial products whether it be oil for your chainsaw or clutch for your tractor, we can supply parts for all models as well our Dealership brands such as Massey Ferguson, Iseki or Fendt genuine factory guaranteed parts. Call now to check your required part or Oils and Filters. See our catalogues to find your make and model. 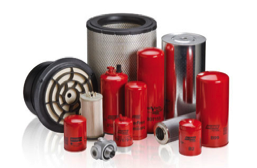 Air Filters, Fuel Filters dual filters,water filters. 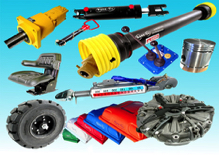 Parts & Accessories for all models. Cars, Trucks, Tractors, Bikes, Mowers if it has a battery we can supply it. Darmac ag genuine parts for Massey Ferguson, Fendt and Iseki Tractors, machinery and all accessories.